After a holiday pinning binge (pingeing?) on Pinterest, I realized I have amassed 3,000 pins. Not all are recipes, but a lot of them are because Pinterest is a great way to keep track of recipes I want to try without creating a stack of printed recipes and hand-scratched scribbled notes. That’s my Pinterest story and I’m sticking to it. Seriously, I won’t pin anything that I don’t plan to actually make, and I have un-pinned recipes that we tried and rejected. 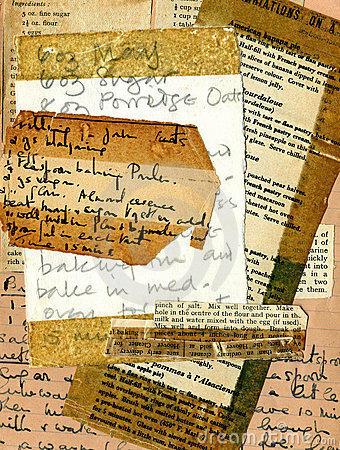 I am simultaneously adventuresome AND particular about recipes I will even consider. As a result my family has collectively “raised the bar” over the years, snubbing most pre-processed and fast food in favor of dishes made with fresh, wholesome ingredients in an array of colors, textures, and flavors. And so I am often surprised (and saddened) when I find a much-hyped recipe (“This is the best thing I’ve ever made!!! !”) is bland or poorly seasoned, or the food consistency is mushy, hard or otherwise blech. It’s not inedible; it just isn’t good. I’m not a food snob….truly I’m not. In my pantry are some sodium- and fat-laced foods that would make true foodies cringe. Things like cream-of-something soup. Powdered soup mixes. The occasional ready-to-make rice or pasta dish. Velveeta. Onion and garlic powders. Quick oats. The list goes on. In certain dishes, these ingredients have a role to play. Not every dish needs to be totally scratch-made from just-plucked farm-fresh foods and gourmet seasonings in order to taste good. The trick (in my humble opinion) is to know when to use a short-cut and when to not short-change your dish. And that knowledge comes through a lot of trial-and-error. You don’t have to dirty every pot and pan to create a great weeknight dinner, either. In case you hadn’t noticed, I really love my crockpot. Crockpots and slowcookers are true kitchen workhorses. And like any good workhorse, they are great for some things, and disastrous for others. Case in point: I tried recipes for crockpot oatmeal and hash brown casserole over the holidays. The oatmeal suffered from my inattentiveness when I mixed it together. (Using a smaller second container as an insert and creating a water bath is a good idea. But use good steel-cut oats, NOT quick oats. Trust me.) A hash brown casserole can be made the night before and baked in the morning with good results, but it is not a good dish for cooking overnight. I should have known better, but I tried it because there were so many glowing comments. Which makes me wonder if those blessed souls have ever had a really good hash brown casserole. Yesterday I made a “forgotten chicken” casserole and stuck it in to bake before we headed to worship. The result? It has potential, but to those who raved on the original recipe….really? It was bland, even though I used a wild rice and mushroom pilaf mix. I can’t imagine a 3-hour baking would do anything good to the minute rice in the original recipe. I will try it again, with some serious alterations and adjustments, because three hours at 275 yielded reasonably tender, moist chicken breasts. There is hope for the concept, but the ingredients need a tweaking, and maybe a complete overhaul. I realize that every family’s tastes and sensibilities will vary wildly. But if I could wish for one thing, it would be that families everywhere would stop settling for overcooked and badly seasoned food; if the reviews on recipe sites are any indication, there’s far too much of that going on. Home-cooked food should be anything but greasy, dry, tasteless, bland or mushy. Trust me, anyone can learn to recognize high-potential recipes and then modify them to suit their tastes; when you do, cooking can become a very fun adventure. If your family is in an eating rut, slowly introduce more contrasts in flavor and texture. Not every food has to be an all-out assault on your “gustatory senses,” but stop settling for bad or same ‘ol, same ‘ol food every day. A few weeks ago I realized I used my crockpot for four dinners out of seven: on Monday, it held pork chops; Tuesday, Hobo Stew. Thursday, it was chicken and wild rice soup, and Friday it got a back-to-back workout roasting 3 pork butts for pulled pork. Not bad for this humble, hard-working kitchen appliance. I even waxed eloquently about my crockpot-a-palooza back here. But I think my crock pot has flexed its culinary muscle even more this year. There are some tricks to crockpot cooking – off the top of my head, here are six things everyone should know about crockpots. 1. Ask not what your crockpot can do for you, but what you can do for your crockpot. Not everyone is home most of the day (as I am), and even I have learned the hard way that it’s imperative to respect its limits and yours. If the food is going to cook for 8 or more hours and you don’t have a high-end programmable crockpot with delayed start, auto shut-off and keep-warm-options, then steer clear of recipes that call for a short 4-5 hour stint in the crockpot. They just aren’t going to work on a weekday. Save them for a weekend or day off when you can adjust your start time accordingly Long-cooking foods like briskets, roasts and beans are generally safe bets, but don’t expect the crockpot to keep your food in a holding pattern for much longer than the recipe’s cooking time. Overcooked food is dry, tough and tasteless, and that isn’t your crockpot’s fault. 2. Less is not more. You may be a “the glass is always half full” optimist, but if your crockpot is less than half-full, it is a disaster waiting to happen. Seriously, your pot should be two-thirds full of stuff. Otherwise, you may come home to the charred remains of the-dinner-that-was. If you don’t need that much food, double the recipe and freeze half in individual portions for quick meals later. Or buy a smaller crockpot. Really. Bigger is sometimes better. Sometimes it’s just bigger. And sometimes bigger is a big honkin’ headache. 3. Crockpots and slow cookers are cousins, not identical twins. A slow cooker heats from the bottom while a crockpot heats around the sides. That doesn’t always make a huge difference, but if the recipe specifically calls for one or the other, know what you have and be prepared to adjust accordingly. This is especially true if you’re making candies or baked goods – heed the recipe directions. 4. Newer is not necessarily better. This is just like mine – only whiter. This is especially true on the plain-Jane (high-low-off) models. If you’re lucky enough to have an older crockpot (circa 1980 to early 2000s), you may be able to relax a bit on the cook times, because they cook at lower temperatures; a recipe that calls for 6-8 hours may still be perfectly edible at the 8-hour mark. 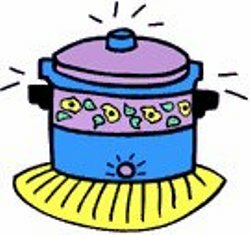 Thanks to our general phobia about germs and bacteria, and the ever-present threat of a lawsuit, crockpot manufacturers decided to up the ante–and the thermostat–on crockpots about 6 or 7 years ago. “Low” settings are now more like the “high” settings of old. Don’t have an old crockpot? Trade with your mom. Or haunt yard sales or thrift stores for someone’s castoff. Telltale signs: it’ll probably have cute country blue and rose decorations, and maybe a blue insert. Or it’ll be glazed brown insert with a beige, orangey-red or mustard yellow casing and lettering that just screams circa 1981. 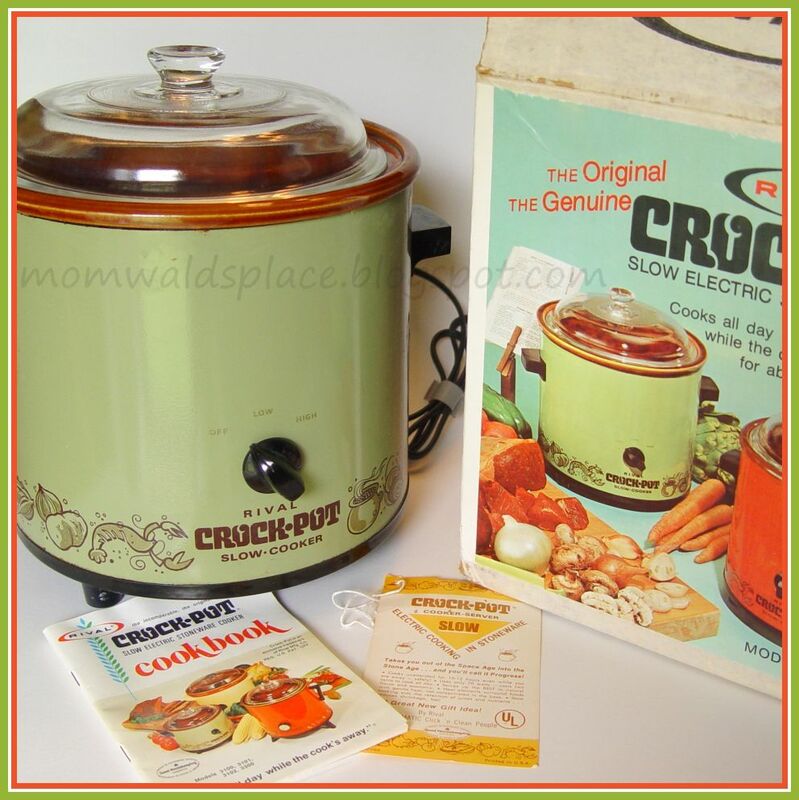 Just be sure it isn’t too old – the truly original crockpots didn’t have a removable insert. That made washing up a bit of a challenge. 5. The highs and lows. Here’s the lowdown on that high/low knob: there is no difference between high and low except in the time they take to get to simmer temperature (209 F), and then they stabilize regardless of which setting you selected. Really. Who knew? But don’t fool yourself into thinking a 6-hour recipe can hang tight for 8 hours if you cook it on low. It might work, or you might come home to a crusty mess, especially if you’re cooking in a newer model without a “keep warm” option. 6. Keep yer hands off. If you are hovering over your crockpot, don’t. It works best alone. At least refrain from removing the lid repeatedly. Every time you lift the lid, you let several degrees of accumulated heat dissipate into thin air. It’s like opening the oven to check on the cake – just don’t do it. So now that you’re armed with more info about crockpots than you ever thought you could want to know, let’s talk recipes. 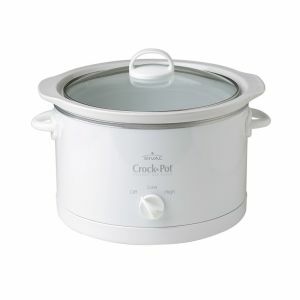 Crockpots are most forgiving for dishes that have lots of liquid like vegetable or meat soups and roasts. And foods that need to cook for a long time to tenderize, like brisket. Thicker soups and stews will do well if you heed the advice above, and don’t ask them to cook all day. Other foods can be prepped and placed in the crockpot, then transported cold with you, and plugged in to cook for a few hours so they are heated through and ready-to-serve at the appointed time. In addition to starchy dishes like potato casserole and mac and cheese, crockpots work GREAT for heating up fudge or caramel toppings for ice cream or apples when you’re serving a crowd. Just another useful use for our trusty crocks. it is wise to test-drive these types of recipe ideas at home beforehand, and know exactly how long they need to cook/heat, and how long they can hold, before you spring your dish on a crowd. This week, the crockpot gets another workout with a new chicken teriyaki recipe, plus some beef barley stew when the temps are destined to dip again in a few days. Hmmm, now that I think about it, I might have to do a crockpot recipe series after the holidays. Stay tuned and break out those crocks. ‘Tis the season. I heart my Kindle. It’s one of the best gifts Mr. Official has ever gotten for me, and he’s given me some pretty awesome presents over the years. Not only do I have couple Bible versions, some insightful self-help type books, scads of novels old and new (reading Jules Verne and Rudyard Kipling for the first time as an adult was an absolute delight), but I also have several cookbooks in my carry-everywhere gadget. To which I smiled sagely and said that indeed I was. Doesn’t everyone READ cookbooks like they do novels? If not, you should. Anyway, this was “Not Your Mother’s Slow Cooker: Recipes for Entertaining” and I bookmarked a few of the most-promising sounding recipes to try. One good one is this one, even though I haven’t actually used my crockpot to make it. Irony, I know. If you have purchased bean dip in the chip aisle, you know how expensive those precious little jars and cans are. And while I think the Tostitos Zesty Bean & Cheese Dip is pretty awesome, a jar can get slurped up in a hurry around here. This recipe makes a dip that tastes a lot like the Tostitos dip, and with just a few inexpensive ingredients, you have enough dip for a crowd. Or refrigerated and doled out into ramekins for warming up a serving at a time, it can last several days. Well, theoretically maybe it can last that long. We can go through it in a hurry. Mix all ingredients together. Place in small crockpot to heat up (or microwave for 3-4 minutes, stirring every minute.) Serve with corn or tortilla chips. Makes approximately 3 cups of dip. *To make some jazzed-up refried beans to serve as a side dish, just double the beans for a big batch, or cut everything else in half. It still has some zippiness without being too heavy on the cheese. To my husband’s chagrin, I like both potato soup and pintos, regardless of their humble qualities. And sometimes I declare cook’s prerogative and make them despite the groans. Fortunately for us all, potato soup went upscale with the addition of cheese and some tasty garnishes, and is now proudly served at many restaurants. Frankly, I’ve found a few versions to be a little thick…kind of like eating a bland queso dip. But the restaurant versions, thick and cheesy, captured my kids’ hearts and tastebuds and even convinced my husband that it could be a hearty and filling soup. So I’ve figured out some recipes that lighten the cheese factor and improve (IMHO) the taste and texture. This particular recipe was shared between me and a friend via Facebook. Now, I’m pretty sure SHE shared it with me, but it might have been the other way around (which would lead me to question where I got the recipe to begin with.) So for simplicity’s sake, I’m going to give her credit for it. She deserves it – she’s got a house-full of hungry mouths to feed, and somehow she manages to feed them delicious meals on a tight budget and whip up scrumptious treats to give out as Christmas gifts. She embodies the essence of frugality while maintaining a humorous and generous spirit. The soup is easy to put together, delicious to eat, and takes some of the stress from days when my schedule is a little too frantic for elaborate dinner prep. (Like, uhh, most days.) I have modified it a tad, and this is my rendition of the original. This soup is embarrassingly easy to assemble. You simply plunk all the ingredients in the crockpot – stir it (to the best of your ability, because the frozen potatoes are going to temporarily clump up when that liquid hits them), then stir it a few times while it simmers on low for 3-4 hours. At the end, you can add some crumbled bacon, diced chives if you want o make it a “loaded” potato soup. Makes 6-8 servings. Leftovers will re-heat, but a little more broth and/or milk may be necessary to thin it out to soup consistency after a night in the refrigerator. Soup weather has arrived, and that’s a good thing – afternoon swim practices start this week, keeping us at the pool until 6 pm, four nights a week. Soups, stews and slow cooker recipes will dominate our weeknight menu until sometime after the holidays. I first sampled Pasta e Fagioli at Olive Garden and it is still my favorite when I opt for their soup-and-salad-and-breadsticks. For the uninitiated, this soup’s name means “pasta and beans” and is pronounced “pasta fa-ZHOOL.” Traditionally a meatless peasant stew, the modern renderings have introduced meat and tomatoes, making it a little more like American chili, but with a definite Italian twist. This recipe is a copycat version of Olive Garden’s and is incredibly easy to make with a few pantry staples. It can be tailored to your preference for a spicy or mild taste (just choose hot, medium or mild Rotel) and leftovers reheat nicely. Serve with some good bread sticks, a little fresh-grated Parmesan cheese on top, and enjoy! In large stock pot, brown beef with onion; drain. Add garlic, beans, pasta sauce, broth, tomatoes and celery. Bring to boil; reduce heat, cover and simmer for an hour or until celery is tender. Add carrots and continue simmering. At the same time, cook pasta separately until al dente. Drain and add pasta to soup just before serving, stirring through to mix well. Like most of my recipes, I’ve experimented with the scale and cooking methods for this soup. I found it can easily be doubled for a crowd, and/or it can be prepared in a slow cooker (brown the beef and onion in a skillet, drain, then add everything to the crockpot and simmer on low for 4 hours, or high for 1-2 hours.) The flavors meld better if it’s made ahead and refrigerated overnight before reheating to serve, but the pasta can get mushy. So if you’re making it the night before serving, hold off on cooking the pasta until you’re ready to reheat and serve, or at least keep the cooked pasta separate and add to the soup just before serving. The origins of this recipe are a little murky. I call these “Kim’s Baked Beans” because a dear friend (and wonderful cook!) gave me this recipe when we were both new brides and we both did a lot of cooking for a crowd of mutual friends. But when I made them for my parents on a visit, my mom pointed out that they were pretty similar to a (yummy) bell pepper stuffing mix she had used for years. Over the years, I’ve modified the recipe to accommodate the number of knees under the table, and the changing palates of children and teens; my additions are listed below. But no matter how you make them, they will go fast! Brown hamburger and onion; drain. Mix all ingredients (except bacon) together. Place in large casserole dish or crockpot. Place bacon strips on top. Cover and bake for 2 hours (or place in crockpot for 3-4 hours on low). Note: This recipe makes 6-8 healthy servings and it can be adjusted up or down to feed your crowd. If using this recipe as a pepper stuffing, use two cans of beans to stuff 3 or 4 peppers. Simply mix all ingredients (except bacon) together, and ladle, scoop and stuff the parboiled peppers held in a glass baking dish. Bake uncovered at 350 for 30 minutes or until hot and bubbly. It’s a wonderful comfort food any time of year, especially with a side of creamy mashed potatoes. This recipe was one that was asked for – and as luck would have it, I’m making this on Saturday to serve Sunday evening to some dinner guests. Kaiser rolls, potato rolls or other good quality sandwich rolls. Rinse pork and pat dry. Place in slow cooker. Combine remaining ingredients (except rolls) and pour over pork, turning to coat. Cook on low for 8-10 hours or on high for 4-6 hours, until pork is tender and shreds easily with a fork. Remove from slow cooker, reserving juice (I run mine through a fat separator). Stir shredded meat back into juice and serve with rolls. Or allow to cool and place in large Ziploc bag or an airtight container for reheating. It has always turned out great, but if you’re making it for guests I recommend making it a day or two in advance because the vinegar smell can be a little overpowering as it cooks. It reheats nicely and stays good and moist for several days – if it lasts that long! The original recipe can be found on Lipton’s website. Final note: Many years ago, there was a BBQ take-out place over in Lebanon TN that had the BEST hot vinegar sauce for their pulled pork. All I can remember is the owner’s name was James. I’d love to find a really great (hot and spicy) vinegar sauce like that to serve with pulled pork, so if anyone has one to share, please let me know!